This is where we are supposed to tell you that we are the end-all-be-all of coffee roasters in the Northeast. The truth is, there are many excellent roasters in our neck of the woods and some have been around far longer than we have. Most turn out really good coffees and a select few produce excellent coffees just as we pride ourselves in doing. So, what’s so different about us? We would like to think several things allow us to stand out from the crowd. First is our dedication to you! We recognize that you are the most important part of our business and the real reason we exist. We are here to serve you; not the other way around. To that end, we strive to get to know our customers on a more intimate level than most coffee roasters want to bother with. We hope that time invested in you will, in time, create a loyal customer based upon a friendship we establish between us. 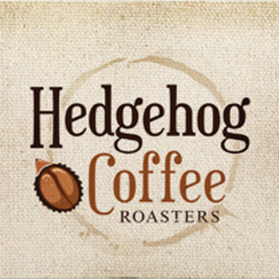 Here at Hedgehog Coffee Roasters, we know that not all of our customers are blessed with a profound knowledge of the ins and outs of the coffee world. Some of you are incredibly knowledgeable and others of you are absolute “newbies” to the world of specialty coffee. While many other companies are just happy to sell you your coffee and hope you enjoy consuming it, we want you to have FUN with coffee! We want to help you in becoming your local neighborhood coffee expert. To help that process along, we make lots of time available to insure as best we can that all of your questions are answered and that your needs are truly met. We operate a beautiful state-of-the-art roastery here in Merrimack, NH. Many of you have never had an opportunity to observe green coffee being tested, analyzed, roasted and cupped for quality…now you do. If you will give us a day or so notice, we will take you through the plant from one end to the other and explain what we are doing—and why we do it! While you are here, you will discover that we use a custom roaster built especially for us. Many of the small roasters you see in boutique roasting plants have been purchased at a cost of far less than we have spent on just the automation that controls our roaster! Our roasts are painstakingly monitored in 6 second increments in an effort to insure a predictably high quality that, most importantly, is consistent in flavor and degree of roast day after day, month after month. No coffee leaves our roastery that does not work for us. Our reputation depends on it. And, although some of you may not have yet had enough time to developed your palates to the degree required to know what a properly prepared certain type of specialty coffee should taste like, I’m guessing that you have pretty well figured out what it should not taste like! We’re not too big on the concept of compromising around here. The reason is because we understand that, most of the time, excellence is found in the details. In short, it’s the little things that make us different; lots of little things that, combined, can often make a big difference. But, that’s our take on it. In the end, you and you alone are the ultimate deciding factor. And, based upon our success, you have overwhelmingly approved!